Heat a large skillet on medium heat, add 2 tablespoons olive oil, add sliced chicken thighs, season chicken generously with salt, add half of chopped sun-dried tomatoes – and cook everything on medium heat for 5-10 minutes, flipping a couple of times, until the chicken is completely cooked through. Remove the chicken and sun-dried from the skillet, leaving oil in. Add asparagus (ends trimmed), seasoned generously with salt, remaining half of sun-dried tomatoes, and cook on medium heat for 5-10 minutes until the asparagus cooked through. Remove asparagus to serving plate. Add chicken back to the skillet, add pesto, stir to coat on low-medium heat until chicken is reheated, 1 or 2 minutes. Remove from heat. Add halved cherry tomatoes, mix with the pesto and the chicken. 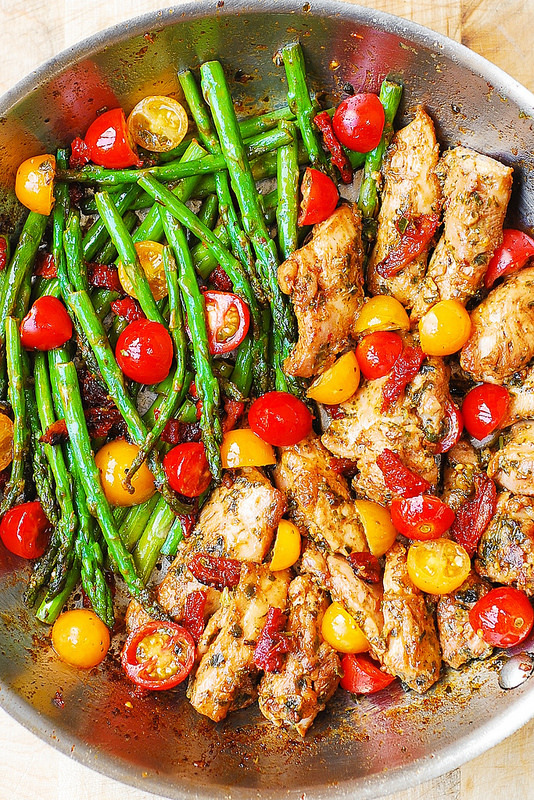 Add chicken and tomatoes to the serving plate with asparagus. 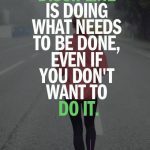 Discipline is doing what you know needs to be done, even if you don’t want to do it.